For decades, Kremlin leaders have been trying to crack down on the consumption of vodka, and its illegal cousin moonshine, in a bid to cut alcoholism and revive life expectancy. Now president Dmitry Medvedev and the state duma are targeting Russia’s favourite ‘non-alcoholic beverage’: beer. While beer has escaped authorities’ attention until now, a bill signed into law by Medvedev on Wednesday will curb beer sales between 11pm and 8am, and ban it at drinkers’ favourite points of purchase: kiosks, airports and train stations. The new law will classify beer as alchohol for the first time and pertain to all beverages with an alchohol level above 0.5 per cent. Though the law won’t take effect until 1 January 2013, it will mark a big change for Russia’s beer market. 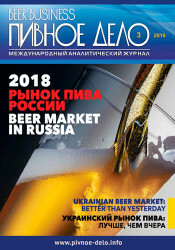 Currently, about a quarter of Russia’s beer sales take place at kiosks, transport hubs and petrol stations – the soon-to-be-banned points of sale. The news is a big concern for Carlsberg, which relies on Russia as its biggest single market. Shares in the Danish brewer have fallen 8 per cent since the start of the month when it was announced that parliament was expected to pass the bill. While the year-and-a-half delay until the law’s implementation will give brewers like Carlsberg and SAB Miller a grace period, it remains to be seen if consumers will be as happy to buy beers from shops as they were to buy them from kiosks, and how producers will make up the 10 per cent of beer sales that currently happen in the wee hours. 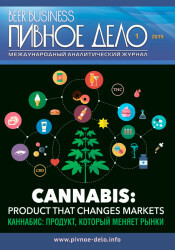 Kirill Bolmatov, director for the government relations of SABMiller Russia, told Reuters that he believed the ban would have a “short-lasting effect” before the market evolved to accommodate it. The law marks a 12-year effort by the government to crack down on alcohol, with the strictest measures being enforced in Moscow. Since 1998, the sale of alcoholic beverages has been gradually banned at public spots, like markets and beaches, while last year, the government put a 10pm curfew on the sale of spirits. The crackdown is not over yet with a planned bill to quadruple the fine for illegal alcohol sales. 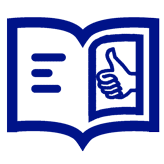 But Muscovites can rest easy about one thing. 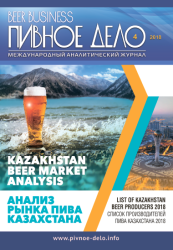 While reports initially said that the 2013 law would pertain to Russians’ beloved kvas - a national soft drink made out of rye, yeast, beet sugar and stale bread, and containing 1.2 percent alcohol – government agencies have since assured consumers that the drink will enjoy exemption. Good news for Coca Cola at least, which not long ago began producing its own kvas: Krushka & Bochka, which as its tagline notes, is enjoyed by tsars and peasants alike.